Today’s episode is vaguely centered around writing. I mean, there’s some lateral thinking involved, for sure. But, before we get to that, riddle me this: what is the connection between these four seemingly random clues? The beast, the monk, the prose, the passion? 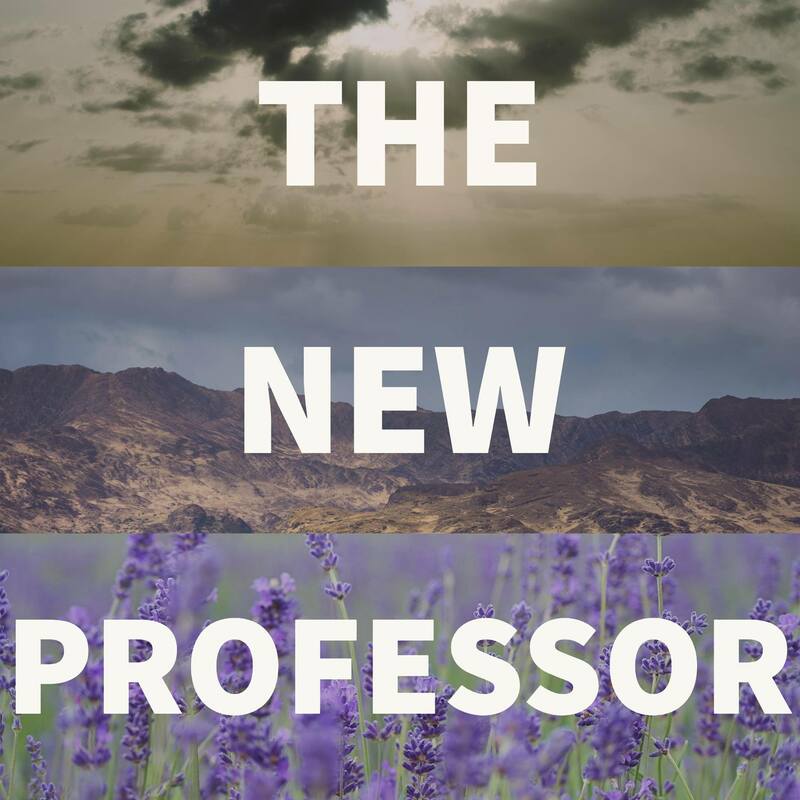 Find out on this episode of… The New Professor. For those who follow me on Twitter this shouldn’t be too difficult as I seem to mention this particular thing once a day, lately. The connection between these four things–the beast, the monk, the prose, and the passion–is actually a book by E. M. Forster. Well, for our purposes it’s a British panel quiz show. Well, actually, it’s a bit of both, as the show is “Only Connect” and the show takes its name from a line in an E. M. Forster book that may be familiar, “Howard’s End.” The part of the line concerning us focuses on the passion and the prose, and goes thusly: “Only connect the prose and the passion and both will be exalted.” The show, “Only Connect,” quite possibly the most deviously difficult game show on television and easily one of my favorite things to watch, gets its name from this line. See? I told you it’s about writing. I mean, we got there in the end. “Only connect the prose and the passion and both will be exalted.” I want to print this and stick it on the wall above my monitors. I wish I’d heard this or been given this advice when I was in school. I mean, I’d seen the “Howard’s End” film but hadn’t read the book, couldn’t even tell you if the line is in the film, and the game show didn’t exist. I was always so concerned about literally everything other than the passion that should come with writing that it all but disappeared. Writing was a chore. An assignment. A duty. It was work. Still is, really, but connecting that prose and passion is A-1 top priority. It’s more than just crucial… it’s necessary. I imagine there’s some writing you need to do now, isn’t there? In the immediate future, at the very least. I mean, I’m right there with you. I’m writing this, after all. (Er, I mean, I’m speaking now but I was writing when I wrote this so I’m reading what I wrote and… well, you understand.) Sat down at a blank page and started to churn this episode out. It wasn’t easy. Writing never is. It is, as they say, a labor of love. The blank page is an anathema to any writer, doubly so if said writer doesn’t feel entirely comfortable with the topic at hand. I’m sure there are people out there for whom the blank page is a welcome sight, a field of potential, a canvas just waiting for the creativity to spill forth. I am not that person. I doubt you are, either. I doubt most people are. And that’s okay. You’re in good company. At least we have each other. Now, I’ve mentioned before on this podcast-y thing I do methods to help you write or at least get words on the page, like using 750words.com to gamify your writing or the concept that’s based on, “Morning Pages,” wherein you write three pages (hand-written) every morning. The content doesn’t matter. It doesn’t even have to be coherent or meaningful. You just need to do it. It sounds bonkers, I know, but as you do this, even if you’re just literally typing on the screen or writing a notebook, the words, “I don’t know what I’m doing” over and over, eventually your inner monologue (manifesting as words on the page) begins to … move. You start thinking about what it is you need to write and write about needing to write it. That naturally transitions into something resembling useful content, and voom, you’re off to the races. At that point you’ve hit your flow state and before you know it your coffee is cold and you’re running late. Or maybe that’s just me. There’s an old joke about theses (you know, those giant documents folks write to graduate) that goes something like this: “There are no perfect dissertations. Only good dissertations. And the only good dissertation is a done dissertation.” Whether it’s a 300-page doctoral thesis or a 5 page essay, no writing is ever perfect. Perfect is never the goal. The goal is done and that, friends, is a moving target. At some point there’s a snapshot of your writing that will be the quote-unquote “final draft,” but the chances that version is flawless and comprehensive and perfect is… well, mince no words, it’s absolutely zero. That’s normal, too. The wonderful AcademicsWrite Twitter account puts the fear nicely: “I hate when I get this feeling I sometimes get about things I wrote. Sometimes I write in a fantasy world and forget there is a real world out there that might react critically. It’s an indescribable angst. Like I let out something I should have kept hidden away.” And that feeling… that’s normal, too. It doesn’t describe a fault or a weakness. It simply shows you really care about what you’re doing. Okay, so I said the goal of writing is “done,” but now I think about that I’m not sure that’s the whole truth. That might be the end result of writing, but the goal of writing is the writing, itself. It’s the collection, analysis, and synthesis of ideas placed on the page and disseminated to others. Sometimes “others” just means your professor. Sometimes it means a blog nobody reads. That’s not the point. The point is that the writing… both the process and the result… changes you. It makes you a better version of yourself, more able to think on a topic, more able to make informed decisions, and more willing to write more. That requires more reading, more research, more thinking, and the whole process starts again. Remember last time how I talked about ‘leveling up’ yourself? In my estimation there are three main ways to do this: taking care of what you put in your body, taking care of moving your body, and writing. I say writing because it presumes reading, which is also essential. As you’ve probably heard, read broadly and read deeply. I even have two pages on my site where this podcast lives with collections of both fiction and non-fiction books. Chances are you haven’t read all of them so go snag one, especially if it’s outside your comfort zone or regular genre favorites. Whether it’s a journal or a novel or poetry or class assignments, you should be writing. Everyone should be writing. Let that narrative in your head, that sometimes ineffable little voice, escape and run riot over the blank page. Write to a reader, not for a reader. Don’t worry if someone won’t like what you say or how you say it (within reason; freedom of expression is not freedom from consequence, remember). Saying what you need to say is infinitely more important than the one or two critical voices you may hear in the dark. So the next time you have a paper due, try to think of it as I’ve described it: it doesn’t matter what the content or topic is, consider it an opportunity to learn more about yourself and explore your own ideas and notions of the world. Have a conversation with the text, a dialog with the writer. It isn’t going to be perfect. Remember, perfect is never the goal. Only connect the passion and the prose and both will be exalted.